1)Material: recycled cotton, recycled polyester ,recycled acrylic , recycled wool etc. 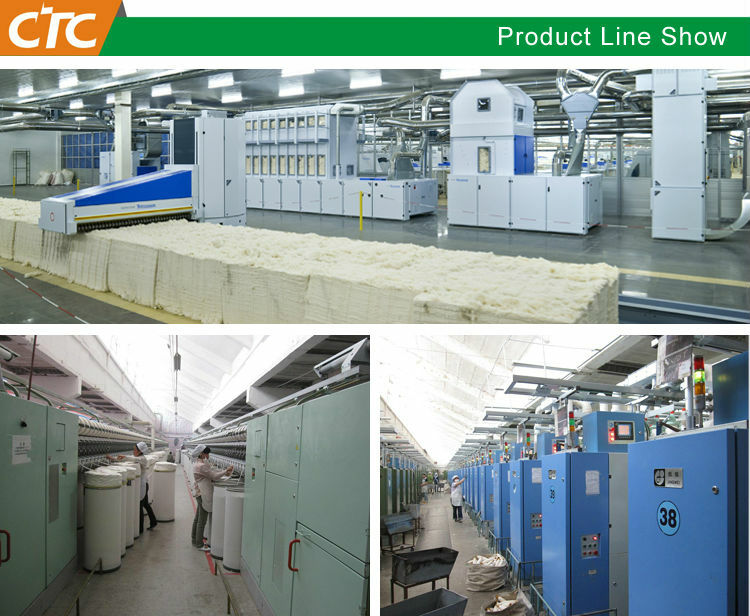 Tiancheng Textile Co., Ltd was established in 1997,in Wenzhou ,ZheJiang province,china and we created our own yarn brand-CTC.We try our best to use world-class equipment to make top quality yarn for you. 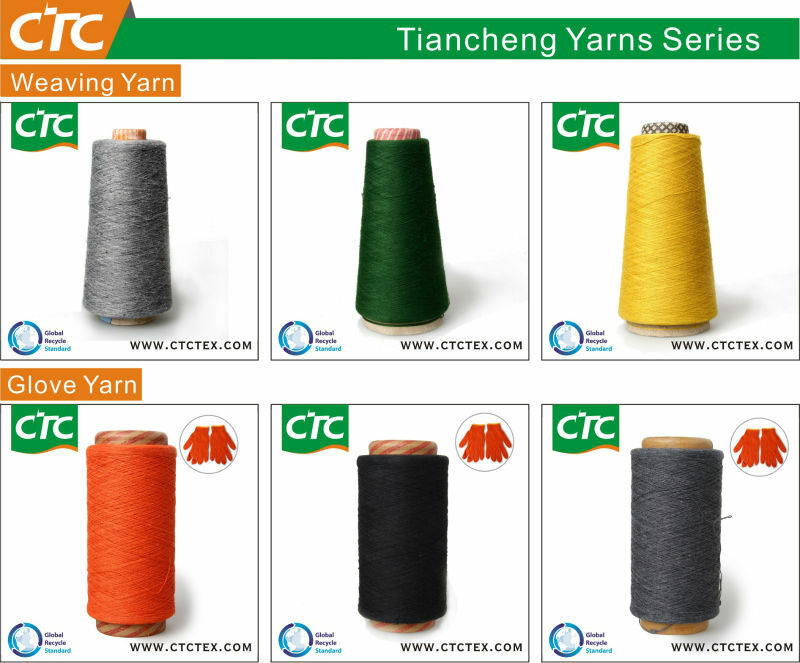 Our goal is is not only yarn manufacturer but also yarn service provider..
Tiancheng Textile Co., Ltd(abbreviate Tiancheng Textile) is a professional spinning factory with fixed assets of RMB 500 million and more than 1000 staffs, subsidiary Wenzhou Tiancheng Textile Co., Ltd and Anhui Wuwei Tiancheng Textile Co., Ltd.
We imported the world-leading level OE Machine with about 10000 spindles including blow carding ,draw frame of Truzschler and Autocoro 480 of Schlafhorst from Germany as well as Riter R923 from Switzerland. We have more than 70,000 ring spinning with full automatic jointing roving and spinning. The production capacity is more than 50,000 tons of yarns with the value of over RMB 1 billion yearly. Payment term: T/T or L/C as Sight payment. If you have any questions or comments, please feel free to contact us.Your enquiry or comments will recieve our highly attention. 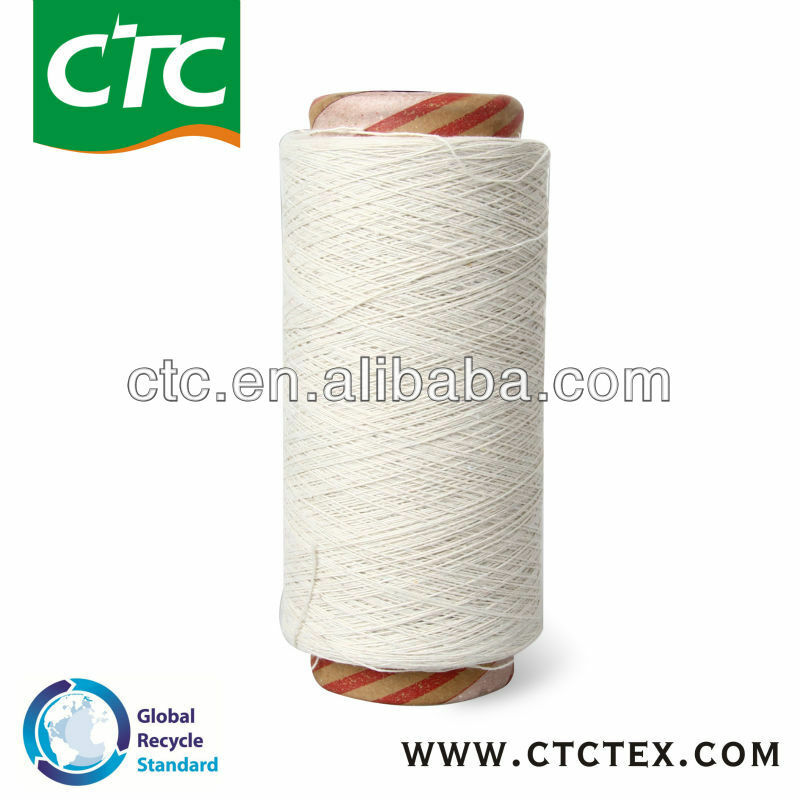 Wenzhou Tiancheng Textile Co., Ltd.